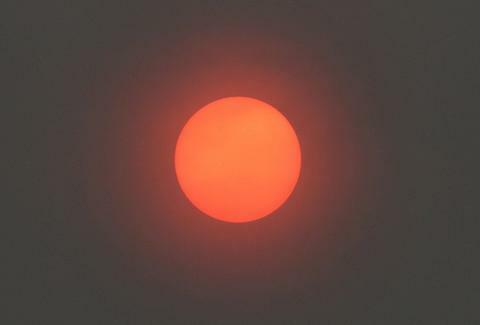 Many Chicagoans were scratching their heads and gazing up in awe Tuesday morning after waking up to discover the sun looking "fiery" red, and just downright weird. While generally overlooked in the morning rush to work, the sun ended up a star (get it?) on Twitter and Instagram today, thanks to its "neon," "fake" or, more obviously, "cool" appearance. Tony Merevick is Cities News Editor at Thrillist and hasn't seen this strange phenomenon for himself, but thinks it's indeed pretty damn weird. Send news tips to news@thrillist.com and follow him on Twitter @tonymerevick.